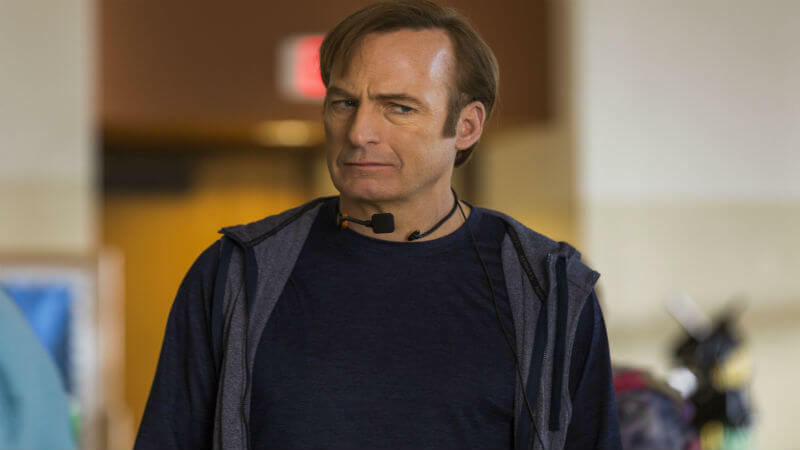 Better Call Saul is currently the best show on television and has done a masterful job of putting complex, morally gray characters at the forefront of its plots, making them so loveable one day and so abhorrent the next. Alongside this, the show has created riveting, patient plot lines that feel immensely satisfying at their conclusion. “Lantern” epitomizes this, playing to the show’s strengths, culminating in one of the best episodes of television that’s ever aired. 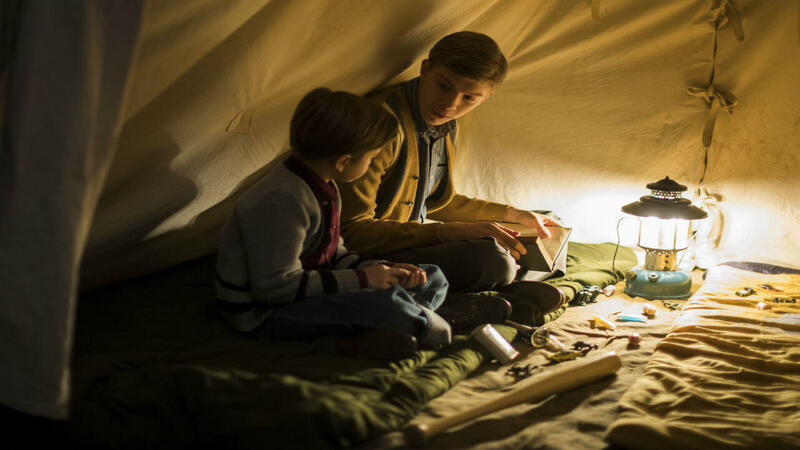 Getting a short, but sweet flashback of Chuck and Jimmy during their childhood as the older brother reads a scary story aloud by lantern light in their back yard really puts it in perspective that growing up they were just like any other set of brothers and that they truly did care for one another. Jimmy has gone down a despicable path in recent weeks, but “Lantern” didn’t display a shred of Saul Goodman and that all comes back to Kim. It’s been obvious since the outset that Kim makes Jimmy a better person, but the reaction that he had in regards to her accident really put on display just how much she does, as well as just how much he cares for her. The subtle story they tell – with very little words and mostly facial expressions – revealed just how true their relationship with one another is, which is a considerably big deal for a liar like Jimmy. 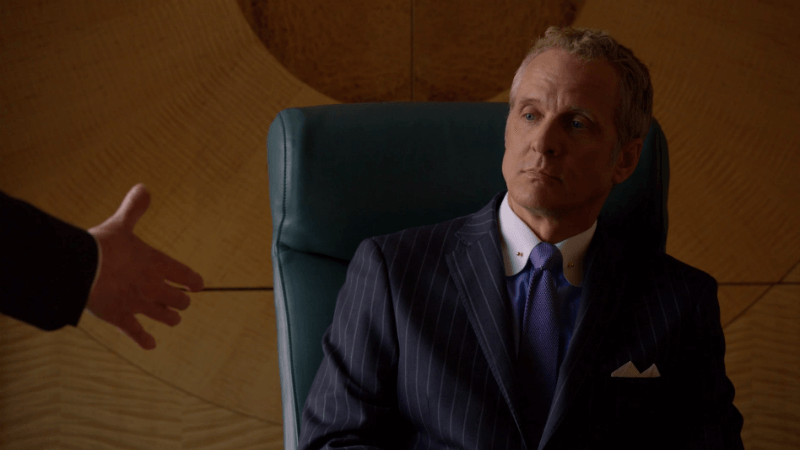 Patrick Fabian’s performance as Howard Hamlin in this episode was his best yet, as we see the character that has slowly been losing his calm composure with situations display such raw emotion when dealing with Chuck’s ultimatums. 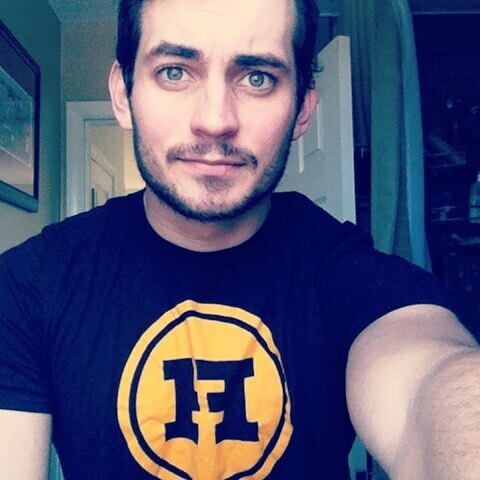 Hamlin is truly one of the more genuine characters on the show – despite his profession and always putting on a somewhat fake smile and attitude – as his actions show just how much he cares for the firm that he and his father help build. Seeing him put on his usual business savvy smile and calm composure after giving Chuck the check, then announcing McGill’s retirement while the rest of the firm clapped was one of the most satisfying culminations to a story ever told. It’s also fulfilling to see Kim realize that she has worked herself too hard, deciding to go buy 10 DVDs from Blockbuster instead of working on the case that almost got her killed. It’s been noted that Kim’s accident really puts things in perspective for Jimmy and how he’s been acting as well, enough so that he visits Chuck. That last statement is Better Call Saul’s equivalent to “I watched Jane die” in Breaking Bad. The hardest part about it is that Chuck doesn’t mean it. Despite everything that happened to him with the firm, pushing everyone helping him away from Howard to Doctor Cruz, he only breaks after that line with Jimmy. Chuck has easily been the character I’ve flipped flopped the most on, mostly because almost everything that he’s stated in the show has been right. At the same time though, his arrogance and attitude made the situation worse for everyone around him, including himself. The finale really displayed that while we as fans may have hated Chuck this entire time, he was mentally ill.
On the other hand the one true villain in the show, with no redeeming factors whatsoever, finally got his comeuppance. It takes a great storyteller to be able to entice an audience in regards to the story that they already know the answer to. 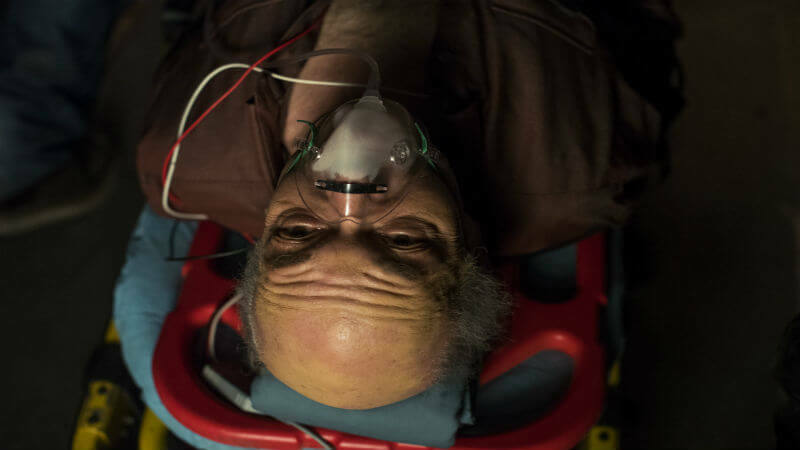 Hector Salamanca’s fate has been sealed since his reintroduction into Better Call Saul, but Nacho’s had not. So instead of caring about how exactly he gets put in a wheelchair, instead we hope that Nacho doesn’t suffer an unpleasant fate. The constant fake out and misdirections, combined with the end result made the climax of the plot line all the sweeter. So much happened in this episode that it’s almost easy to overlook a simple thing like the resolution to the Sandpiper storyline that’s occurred last episode.The entire situation involving Irene are the biggest reasons for disliking Jimmy, so it was great to see him use his tricks and cunning to resolve the mess that he created. But to be frank, none of these resolutions, climaxes, and revelations compared to how Chuck’s story comes to an end. Not only do we see him relapse again – not writing in his recovery journal in the emotional section being a nice touch – we see a very painful, systematic breakdown as he tears down his house looking for the last bit of electricity. The rhythmic thumping as a despondent Chuck slowly kicks the Lantern over to set his house (and himself) ablaze is truly haunting. As the flames erupt, the camera’s wide shot sites outside the house as they spread, while the music soars into an all too familiar static associated with Chuck. 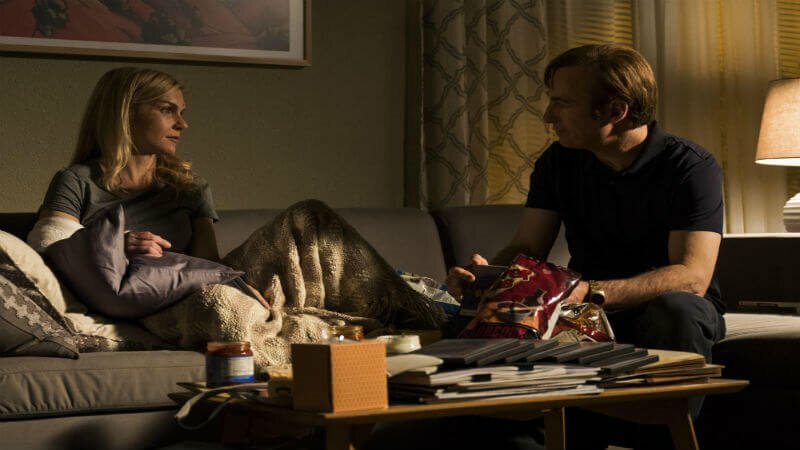 A huge question since the outset of Better Call Saul revolved around Chuck’s fate, with each situation teasing his possible demise, but no one could have predicted this was how it ended. It’s been written on the wall that, somewhat unintentionally, that Chuck created Saul Goodman with the way he handled a lot of his encounters with Jimmy later in life, especially the final one. A few of Chuck’s final words will likely be fuel to the fire of the final turn to Goodman, as Jimmy will always remember that Chuck would at least respect him if he embraced his troubled ways. VERDICT: A true masterpiece in storytelling, character evolution and tragedy. Lantern is one of the most satisfying, yet heart-wrenching episodes of television I’ve ever seen, putting Better Call Saul in an elite class of shows.